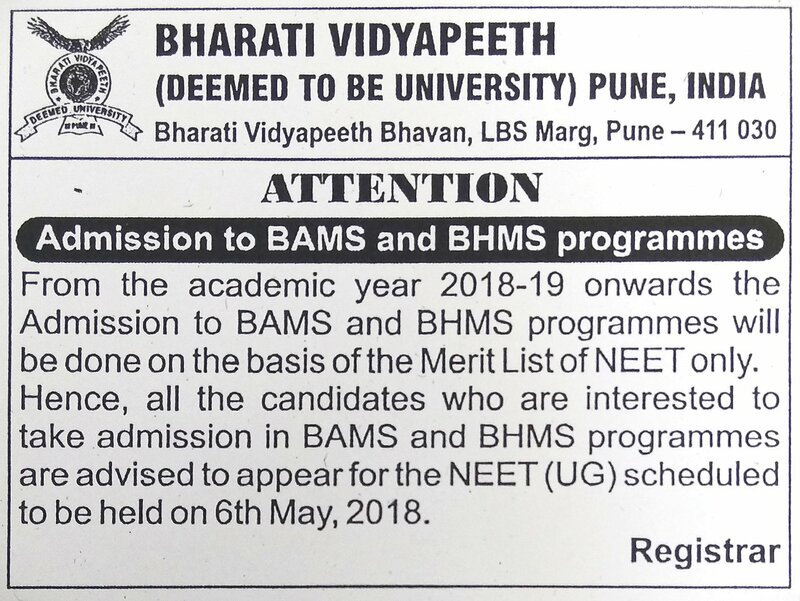 Bharati Vidyapeeth (Deemed to be University) College of Ayurved, Pune has carved a ‘niche’ in the vast field of Ayurveda, not only in India but also globally. 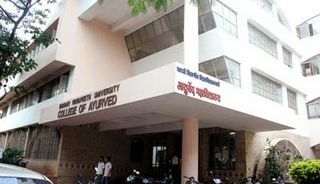 This is the pioneer Ayurved College in Maharashtra to start Ayurved education in English medium. 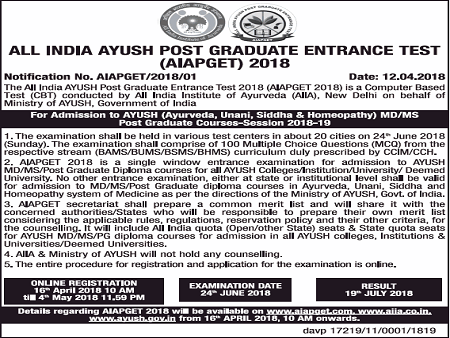 The college is approved by Central Council of Indian Medicine [CCIM] & Department of AYUSH, Ministry of Health & Family Welfare, Government of India, New Delhi. 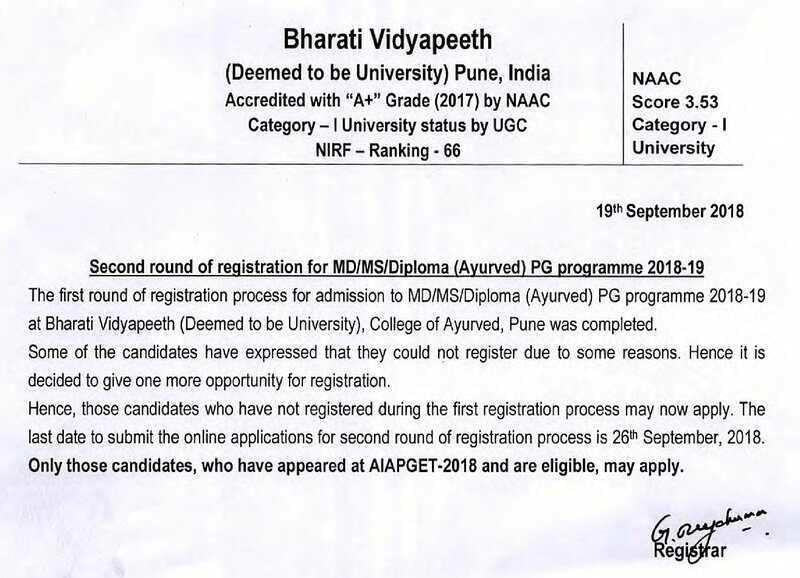 It has also been re-accredited by NAAC, Bangalore and received ‘A+’ Grade. 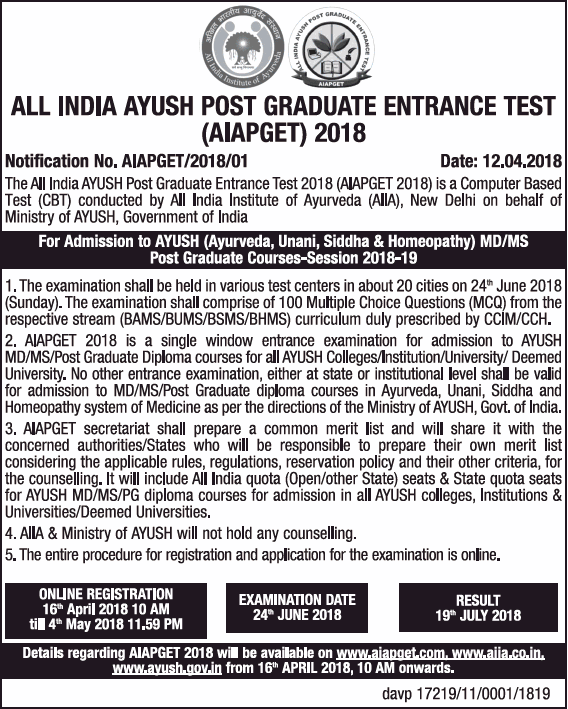 This is one of the few institutes in India that offers undergraduate course with 100 intake capacity, post graduate course in all the 14 departments with 57 intake capacity, PG Diploma in 5 subjects with 10 intake capacity, Ph.D. programmes in 14 specialties and Diploma in ‘Naturopathy and Yogic Sciences’. The college has earned its reputation due to well equipped laboratories, herbal garden, pharmacy, clinics, hospital facilities and dedicated faculty. The hospital boasts of modern facilities for authentic Ayurvedic treatments like Ksharasutra, Panchkarma and supporting modern treatments. Many senior faculty members of this institute receive invitations to be resource persons for national and international conferences. They are also invited to share their views in designing syllabus and curriculum at the central council. A few faculty members have to their credit, research papers published in indexed journals. Active interaction between faculty, other academicians & professionals in the field by way of seminars, workshops give the students variety of experiences. Recently conducted international event, 1st International conference on Advances in Asian Medicine- ICAAM 2016 in collaboration with IASTAM, India received a very good acclaim. Every year a few students are taken up as research fellows by renowned institutes abroad. 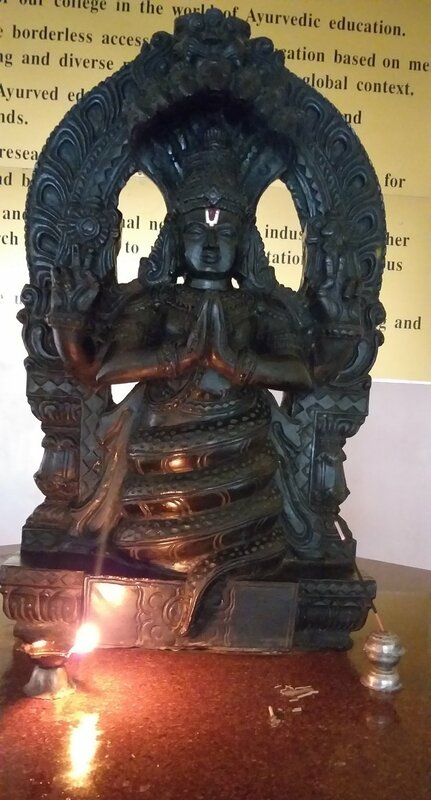 Scientists working in universities from European countries come for discussions and collaborations regarding Ayurvedic medicines and Panchkarma treatments. 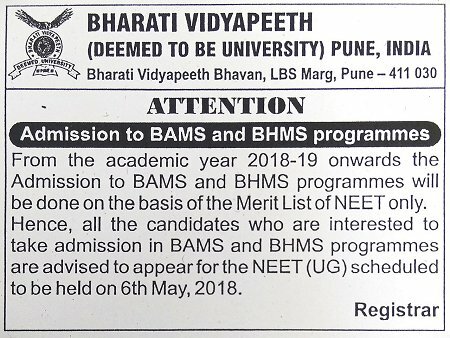 The achievements of Bharati Vidyapeeth (Deemed to be University) College of Ayurved in a span of merely 25 years make it the most ‘sought after institute’ by students.